Join the discussion on our forums! 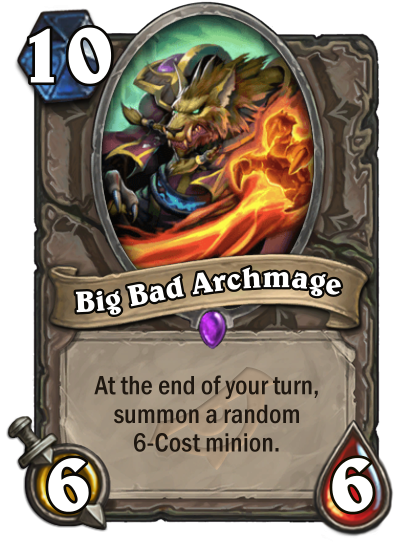 Come discuss Big Bad Archmage over in our dedicated Big Bad Archmage discussion topic. Staple card in Big Shaman, a must-remove minion that can be cheated out numerous times. So this is what happens with the Big Bad Wolf goes to college. Cheat this card with Eureka! or Muckmorpher.